With Christmas just around the corner, it’s the time for reviewing social media plans for 2019, looking at new marketing strategies and seeing how we fared with our 2018 new years resolutions (I think mine involved more sit-ups and less wine… so we won’t go there). We’ll be reviewing our social media strategy this December along with those of our clients, ensuring we are making adjustments based on data, insights and trends within both the digital landscape and consumer behaviour. Things change both quickly and frequently on social media so when you review your social media strategy for 2019, consider these 4 points which will keep your strategy up to date and a step ahead of your competitors. People are spending less time engaging with written content and more time engaging with visual content, particularly video. Obviously every market is different but, on the whole, people are watching more video, listening to more podcasts and reading less. We’ve seen this trend in our business throughout 2018 with the growth of our podcast. Instagram (the ultimate visual network) has seen massive growth this year and will continue to do so in 2019. Podcasting is growing rapidly too because it allows people to multi-task – you can drive, exercise or do the chores while listening to a podcast! Video is dominating social media with increased organic growth year on year as well as helping you run some of the most cost-effective Facebook & Instagram ads possible. 65% of ad impressions on Instagram are video ads. Your videos don’t need to be professionally shot, smartphone videos are perfect for social media when you know how to make them! With so many videos on social, remember they will only be as good as the content. Think about how you can entertain, inform or inspire your audience. 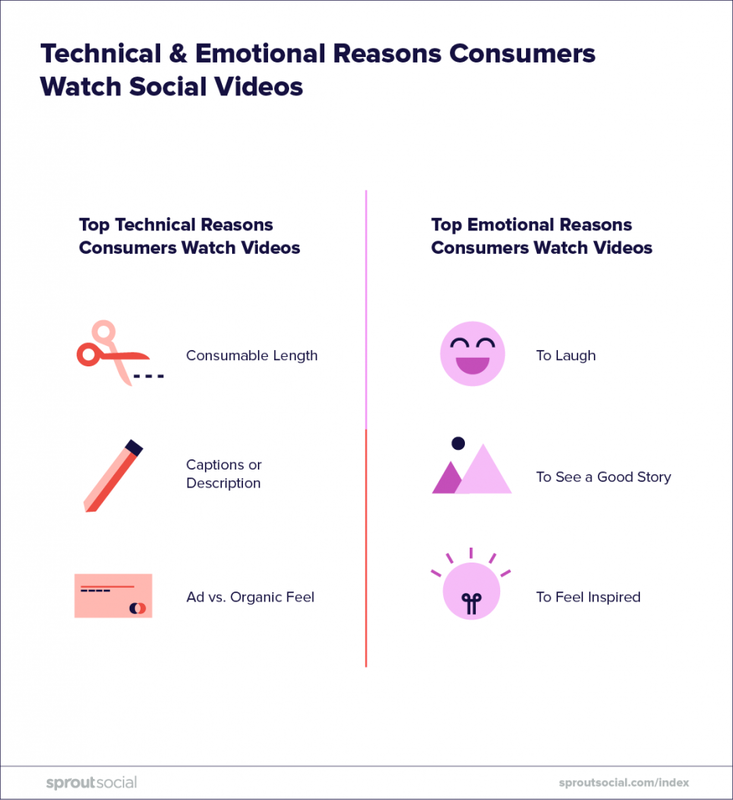 Using captions for social video will mean you receive more views as most people watch video with the sound off. Using Facebook or YouTube’s caption generating tools or iMovie are the simplest ways to do this. Your social media strategy for 2019 should take into account the fact that written content is becoming less popular for many people. Get creative with content and think of at least one new content theme that is video or audio based that you can successfully roll out with the resources you have. 2018 has seen an upward trend of live, real-time content and this will continue in 2019. If you spend all your time planning and creating scheduled content you are missing a trick. 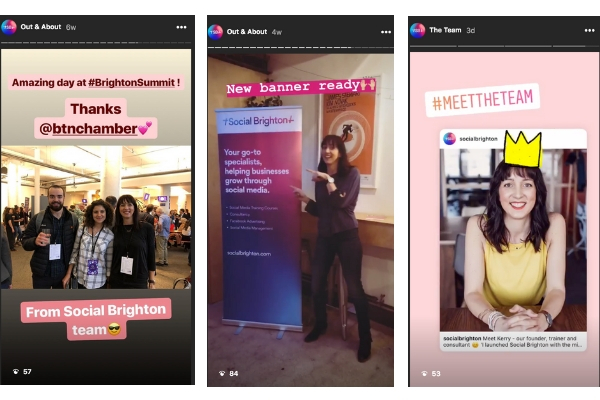 Instagram Stories are a great way to show behind the scenes and with more interactive elements, tagging features and gifs (oh, how I love a gif), there’s plenty of creativity to be had. IGTV allows for long video, so none of the video length restrictions that your Instagram feed has previously limited you to. Facebook rewards brands who live stream with increased reach as they notify your fans that you are live. The interaction with live video is a great way to boost engagement with your audience. 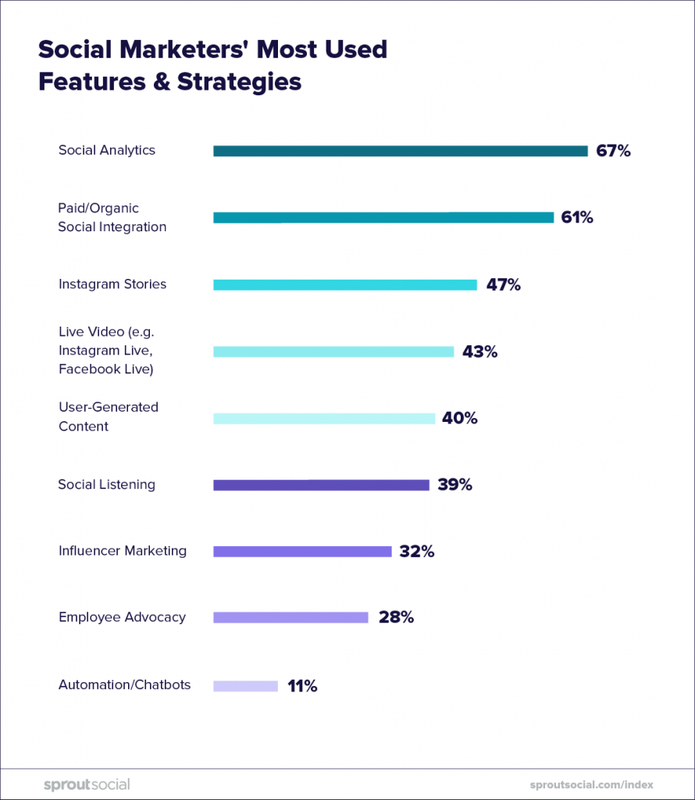 Instagram Stories, IGTV & Live Video are still only used by less than half of businesses so there’s an opportunity to get one step ahead by embracing this type of content if you haven’t already. To really make the most of ephemeral, ‘in the moment’ and live content, you need to ensure social media is truly integrated into your work culture. If your social media strategy is understood by others in your team, there will be more ideas and opportunities for content and more collaboration to make it happen consistently. Your social media strategy for 2019 should include more live and behind the scenes content to reach more people organically and engage your audience. Start using Stories on a daily basis on Instagram and/or Facebook and experiment. 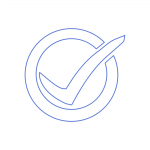 Use location tagging, involve others, try polls and gifs and watch your followers engage. 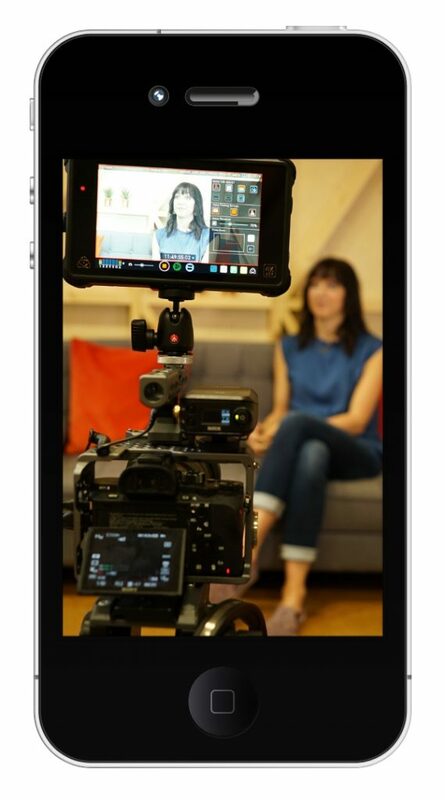 Think of a live video opportunity – perhaps a Q&A or an interview. More and more people reach out to businesses on social as time goes on and this will only grow in the future. Younger generations who have grown up with social head to their network of choice as the first port of call. Whichever channels you use, it’s important to be responsive when people do reach out. Social networks will reward you for this too. Check your Facebook Inbox on your page (the Pages app is useful to manage this when you are not at your desk) and respond in a timely manner, acknowledging engagement on your content and ads. Try Facebook Ads with the Messages objective to build rapport with your potential customers. 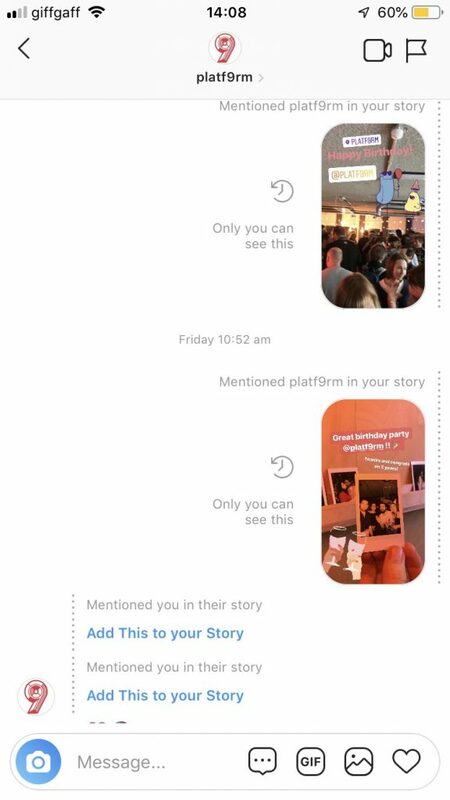 Keep an eye on Instagram Messages and replies to your Stories (we’ve seen a big increase in messages here throughout 2018). Tweetdeck is a great free tool to help you with being responsive to mentions or potential leads on Twitter. The more you engage with others on Instagram Stories, the more you’ll see others interacting with you. So keeping an eye on when you’ve been mentioned in a story is key to sharing that engagement to your own followers. Being responsive can be a challenge as we try to maintain a work/life balance, but people expect a response quickly to a direct question. 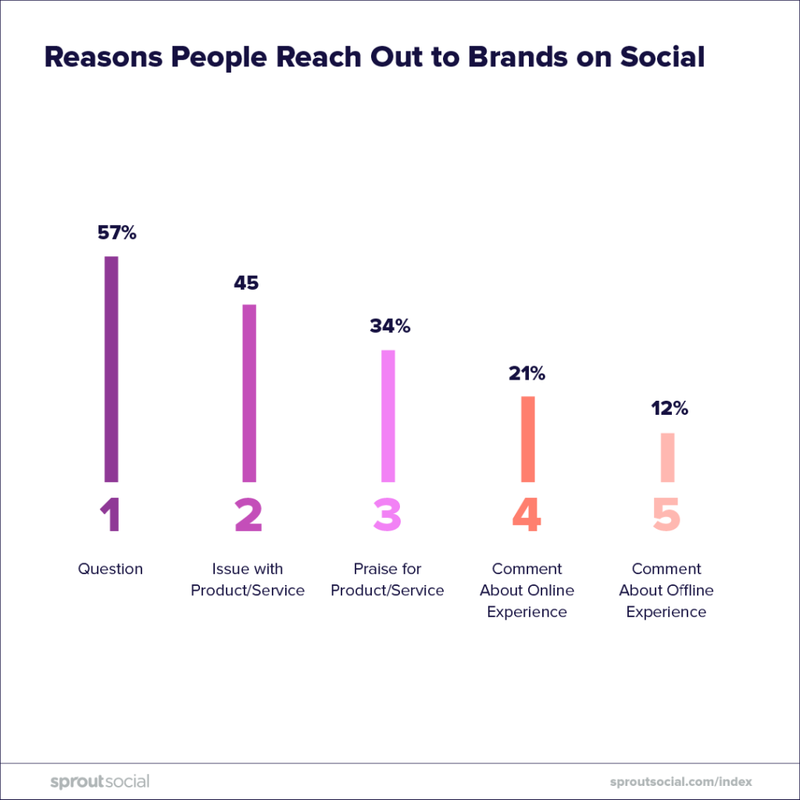 You may not want to use social for customer service but people may well reach out with questions and comments anyway. When you embrace social media for your business in terms of marketing, you have to embrace the communication side of things too. Your social media strategy for 2019 should include a plan for being responsive to questions and comments via social so you don’t miss out on potential opportunities. Schedule a couple of time slots each day (or whenever you can) to check for mentions, comments and any other types of interaction on social. Use good social media tools (we love Sprout Social) to help you bring all messages together. One of the great things about social media is the data available to us to measure the impact of what we do. When you’re reviewing your 2019 strategy, I’d recommend taking the time to really analyse your previous data and see what you can learn. Understanding which content generates the most engagement, profile views, website visits or new followers is key to understanding more about your audience. Use this knowledge to develop new content! 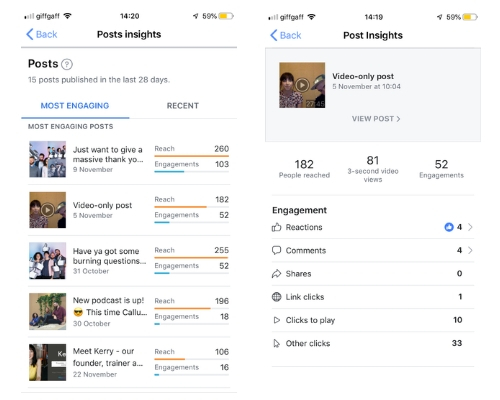 It’s important to record the key metrics across all networks to be able to set KPIs for your social media performance, to understand how your campaigns have performed in the past and what you can expect in the coming year. But social media and web data don’t always give the whole picture. Your social media strategy should be aligned with your business strategy and therefore needs to be measured against business performance too. So looking at marketing activity and social conversations alongside leads, sales, new clients etc will help you understand the bigger picture. But remember, using social is necessary for long-term business success and developing social proof to compete in your markets over the next few years. It’s as much about societal behaviour as it is about data. Your social media strategy for 2019 should be based on insights generated from your data for 2018 whilst incorporating new trends and behaviours. Analyse your last 12 months data to generate insights. 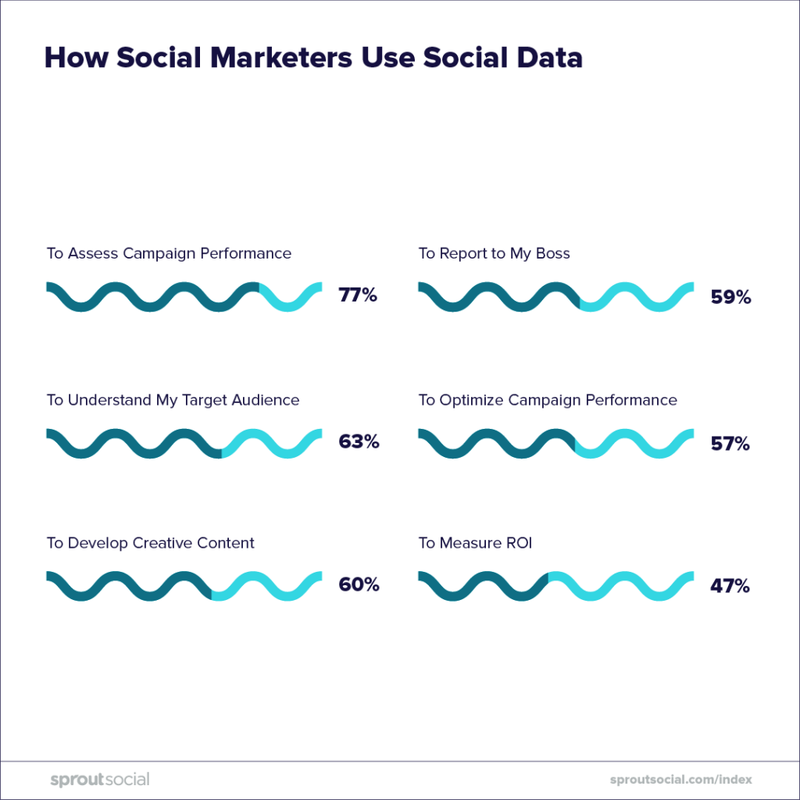 If you don’t record data yet, start now with a simple spreadsheet where you can note your key social media and web metrics for the past 3-12 months. I hope this has helped you to get your ideas for 2019 in order but if you’re keen to really nail your social strategy for the next 12 months, head along to our Social Media Strategy Course in January 2019.